Euro is still being corrected; the price has already reached the level of 61.8%. If the pair rebounds from this level, the market may start moving upwards again. In this case, the target will be in the area formed by several fibo-levels. 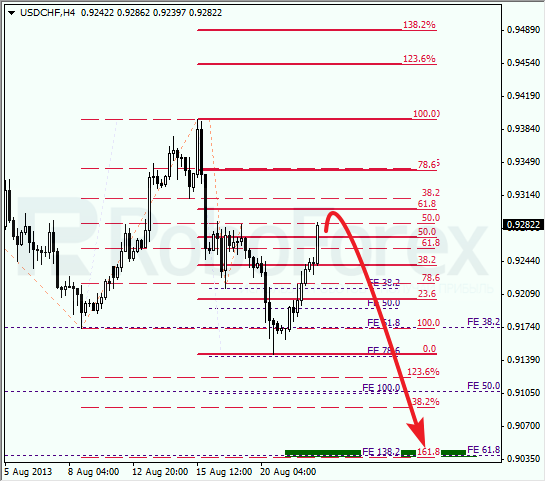 At the H1 chart we can see, that there is one more fibo level in the target area. According to the analysis of the temporary fibo-zones, the current correction may finish at the level of 61.8%. However, right now it’s quite risky to enter the market, that’s why I’ve opened only a pending order. Franc is moving upwards so far. During the next several hours the market is expected to reach the level of 61.8%. If the market rebounds from it, the pair the pair will continue falling down towards the target area in the lower part of the chart. 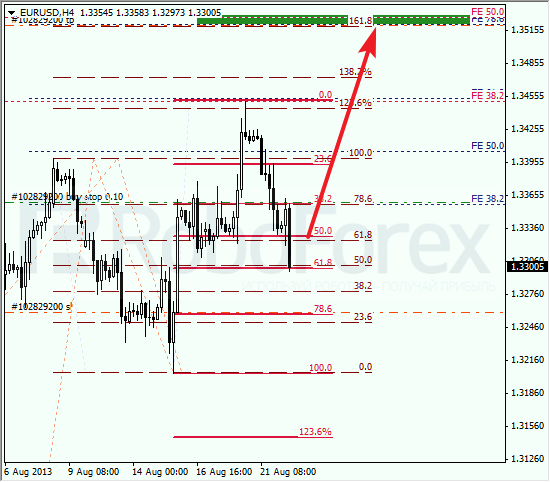 As we can see at the H1 chart, the pair is moving very close to the temporary fibo-zone. If the market rebounds from the level of 61.8%, I may try to open some sell orders with the target in the area in lower part of the chart, which is formed by four fib-levels.